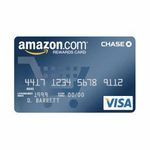 This credit card can get you amazing discounts just for using it, and if you don't want the charge on their, an employee can assit you to pay it off right away! Usually you save 20% more JUST for using the card, great savings! 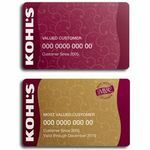 I only got this card for the multiple discounts.I use it get my discount and pay it off right away.I have no idea what the interest rate is for this card because I don't carry a balance.Easy to use and pay.Great company. If you like to shop at JCPenney, it's worth it to have. I used to shop at JCPenney all the time. They also always have great clearance items at super low prices. I stock up at the end of the season for next year. Anyway, I quit shopping there for about a year when they did away with coupons. I am definitely a coupon junky. I recently started shopping there again when they reinstituted coupons. I signed up for their credit card to get 20% off my total. They often sent $10 off any purchase of $10 or more. You can receive a percentage off your total periodically also. They have a new rewards program where you get a $10 credit to use if you spend a $100. The only thing about that I don't like is you have to spend the $100 in one month and then you have to use the $10 credit the next month. It doesn't carry over. It still can come in useful. Customer Service I haven't ever had major problems with customer service at JCPenney or over the phone with their credit card services. I have had a few cashiers who were just not knowledgeable on coupons and the rewards program which is annoying. 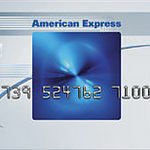 Available Rates Of course, like most store credit cards, the interest rates are very high. I always pay off my balances every month to avoid interest charges. 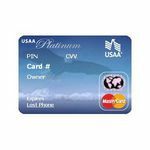 It doesn't matter how good a rewards program is if you are going to spend way more money on interest than you save. Although I love JCPenney I am not in love with the credit card. Shopping at the store with it provides a nice selection and great prices the greater majority of the time. It's difficult to browse and not buy which is the main reason I dislike the credit card so much. The interest rate on the card is way to high at over 29% and goes up even higher when you lapse into penalty time. Their billing cycle is relatively fair and they offer ample time in which to make the payment by but by far that is not enough to make up for the damage that will be done to your overall credit if you go overboard with it. Another down side to it is that the customer service was bad in my opinion. When I was randomly notified that my card or account information might have been compromised I didn't get the answers I needed or in a timely fashion, I didn't receive a replacement card until almost 6 weeks later and that was only after I canceled my account out completely. There was a lot of frustration I was put through as a result of having this card and I can not in good conscience recommend it to anyone at all. 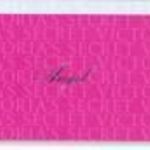 When I first began establishing credit, for some reason I applied for a JCPenny card and received it! School was about to start, and my children would need clothes, so under duress I activated this card that said in black and white that I was going to pay 26.99% interest on everything I bought. Customer Service Dealing with Customer Service is one of the nicest qualities about my JCPenny account. They all would resolve my problem with only one phone call, which is generally what the public usually wants! Even when I had some financial hardships, the representative was more than happy to work out a plan with me, and not turn me over to the credit union on my first late payments. Available Rates I thought 26.99% was quite steep for interest on my account, but then again, it must be the price you have to pay when you are just beginning to rebuild your credit. I thought eventually the rate would go down, but it did not. Still to this day, if I use my JCPenny credit card, I pay 26.99%. My husband and I re-opened a JC Pennys Credit Card when we were shopping there and making a larger purchase. We had one in the past, years before, but never used it so we cancelled the account. We weren't going to re-open another account, but the cashier ensured us we would save 20% off our total purchase, so we agreed to do so again. Customer Service While at the store, in line with all our purchases and ready to pay and leave the store, our cashier was on the phone with the credit company to open our new JCPenny credit card. 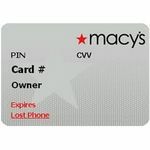 Because we had a JCPenny card in the past, our old account was in the system. Our cashier was on the phone with the customer service people, and was given our account number. He then tried to complete our transaction, but couldn't. He had to call back again, and we had to wait an extra 10 minutes or so. It turned out that the customer service rep had given out cashier our old account number and couldn't figure out the new number. Bascially, we had to wait around at the cashier in the store, extra long, and looking like we had bad credit because the customer service rep goofed and told the wrong information. It was human error, but annoying. Available Rates We always pay in full, but assuming its competitive? 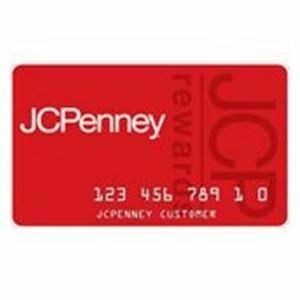 JCPenney is always a great card to have in your wallet. It allows you access to great sales and savings. Whenever you spend $100 on your card, you receive a $10 voucher. Even if you spend it at Sephora inside of a JCPenney, it counts and that always adds up to great savings with the rewards your given. I have never had any problems using this card. The sales associates will always remind me to use my JCPenney card so I get my rewards. If you don't use it, you don't get the rewards. But it's surely worth it. Of course it has high interest rates, but what credit card doesn't? Just make sure to pay your balance in full each time you use it and the interest rate doesn't matter. It's also great for online shopping. They have the best sales! Customer Service Always friendly and able to answer my questions or resolve my problems. 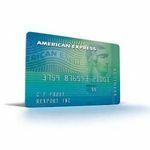 Available Rates All credit cards these days have high interest rates, and this one does too! Just make sure to pay your balance each month and you should not have to worry about it. I ONLY recommend it if you can instantly pay off balance! I love JCPenney and my mom had their credit card when I was growing up and now that I'm an adult I have one too. Over the years the interest rate has climbed significantly. It was almost 30% last time I looked, If I remember correctly. That is why I ONLY recommend you use the JCPenney credit card if you can instantly turn around and pay off the balance while in the store. You get some nice discounts being a JCPenney credit card member that non-card holders do not receive. JCPenney is fairly priced store and when they have sales it is AWESOME. Getting an extra 30% off sometimes when you use your card is great. What I do to avoid the INSANE interest rates is go to the store, use my card to get my discounts, then go and pay off the balance while I'm still in the store. That they I avoid the interest and still get my discounts. Just takes an extra few minutes in the store to go pay your balance. I would NEVER use the JCPenney credit card if I couldn't just go pay the balance off while there because their interest rates are mind blowing. Available Rates Almost 30% interest rates. WHY! ?